Specifications: 220-240V ~ 50Hz, Class II. Power Cable Length: 4m approx. Normally caused by an electrical issue Please ensure that the pool heater is plugged directly into a mains socket and not into an extension lead. Check the socket with other items to ensure the problem is not with the socket itself. How long will the pool heater take to heat the pool? Does the heater need to be vertical or horizontal? The pool heater will need to be horizontal with the buttons facing upwards. Can you plug the pool heater into an extension lead? Which way round should the pool heater be connected. Our Pool Heater comes with a standard warranty period so that you have the peace of mind that in the unlikely event that you were to experience an issue, we are here to help you. The RCD plug must be plugged into a grounded socket which goes directly into the mains supply. This should never be used with an extension lead. 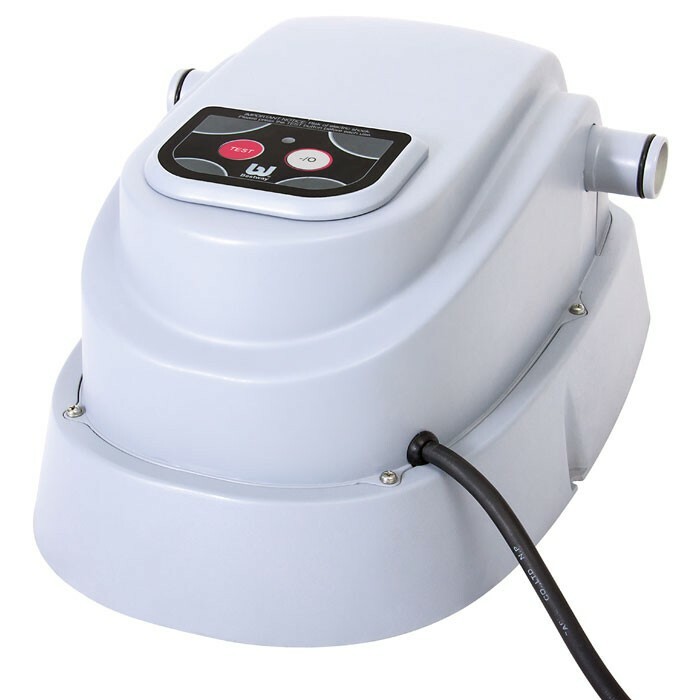 The pool heater will stop working if the filter pump is not in working condition. The Filter Pump should always be switched on first.